Established in 2005, CarTakeBack is a hassle-free used and scrap car buying service across the UK. We’re proud to be the UK’s largest scrap car recycling network. Our network has recycled over 5 million vehicles. We buy scrap and used cars, whatever the condition. You can still scrap your car for money, even if it’s at the end of its life. We also buy used cars, from faulty and damaged right through to old vehicles and MOT failures. We offer a free online quote tool, giving you the best price to sell your car. CarTakeBack is the official scrap car recycling partner to the top car brands. Since the 2005 laws, car makers are responsible for what happens to their cars when they are no longer roadworthy, meaning they must offer responsible car disposal. CarTakeBack provide this service for partners, continuing to achieve the high standards they require. One of our top priorities is to ensure our car recycling complies with UK law. CarTakeBack’s branches are all Authorised Treatment Facilities, registered with the Environment Agencies. Every car recycled goes through a depollution process, removing the hazardous materials and disposing of them correctly. As much of the remaining car parts that can be recycled, are. CarTakeBack has either met or exceeded the EU’s target to recycle 95% of each scrap car, every year since the law came into effect. CarTakeBack has hundreds of branches in the UK - there’s sure to be one in your local area. Choose from dropping your car off at your nearest branch or arrange for us to collect your used or scrap car. 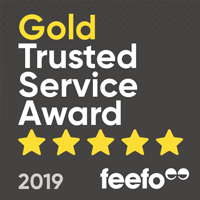 We’re the proud winners of the Gold Trusted Service award from Feefo, an independent review site. We received this excellence in customer service award as a result of our 4.5 - 5 rating from CarTakeBack customers throughout last year. Since launching CarTakeBack in the UK in 2005, we’ve grown internationally, right across the world. Our first-rate car recycling and buying service now also operates in Australia, New Zealand and Republic of Ireland.